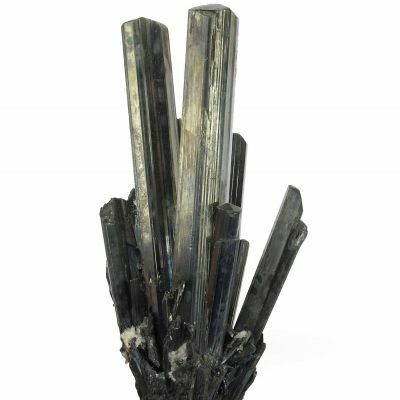 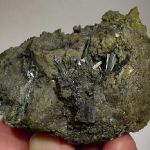 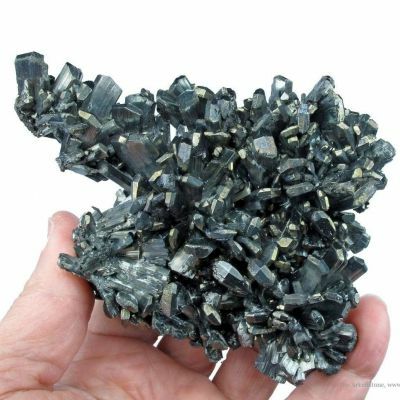 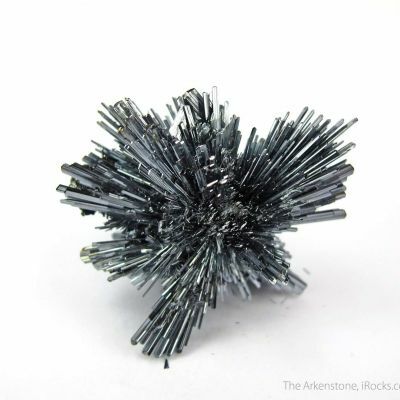 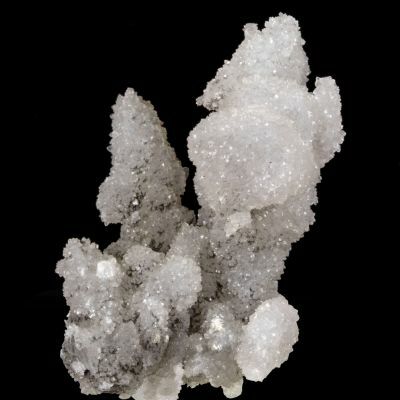 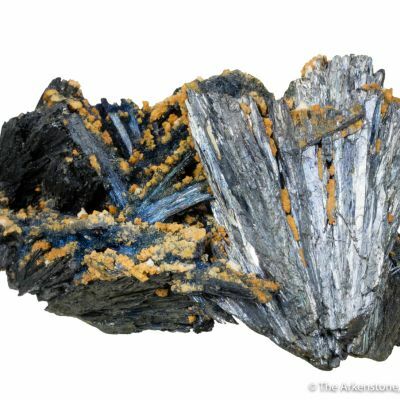 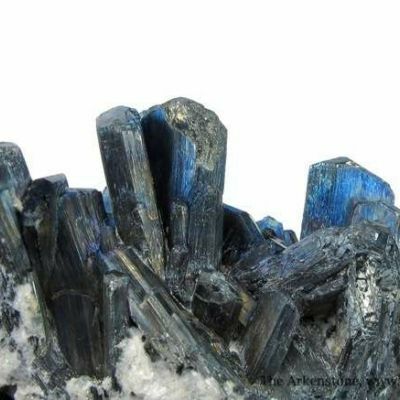 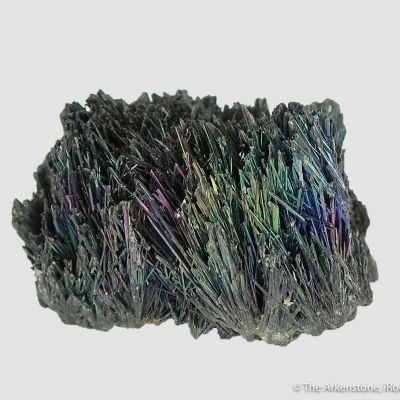 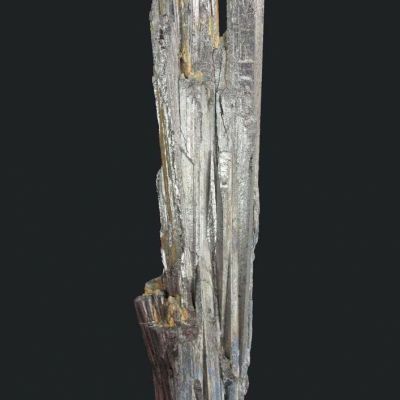 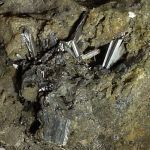 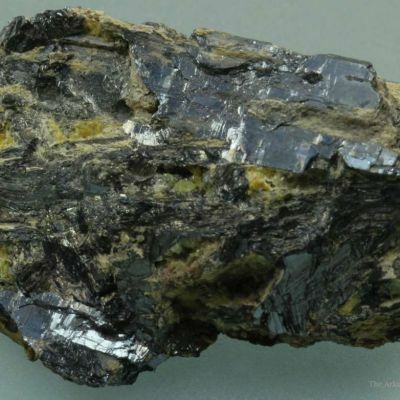 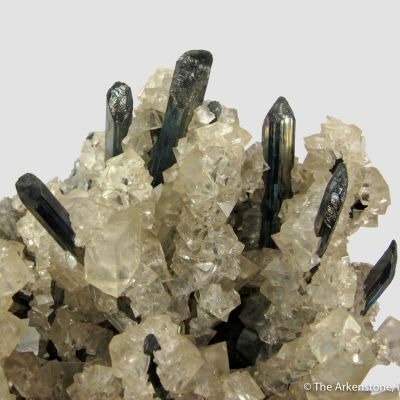 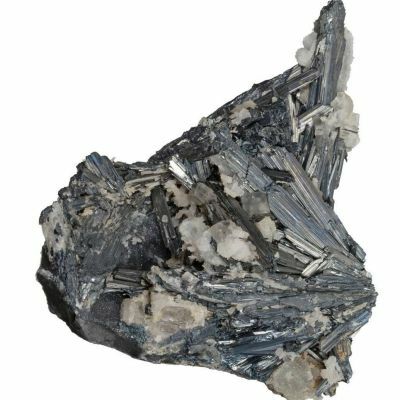 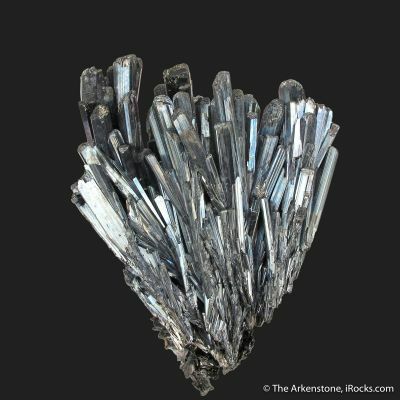 A showy and excellent, old-time specimen of a 3.0 cm, well-placed vug attractively filled with bright, silver-gray stibnite blades. 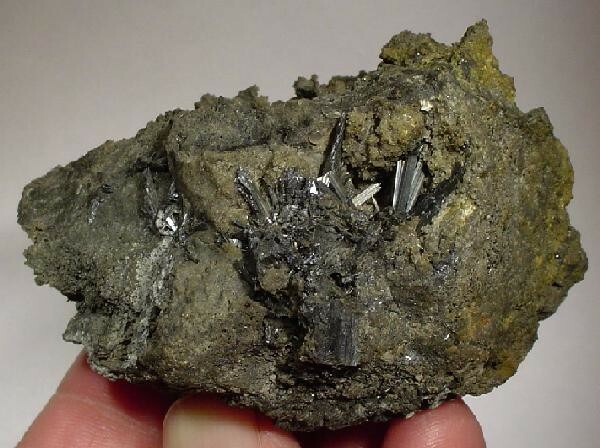 This classic and classy specimen is from the well-known Hollister area, Stayton District, San Benito County, California. 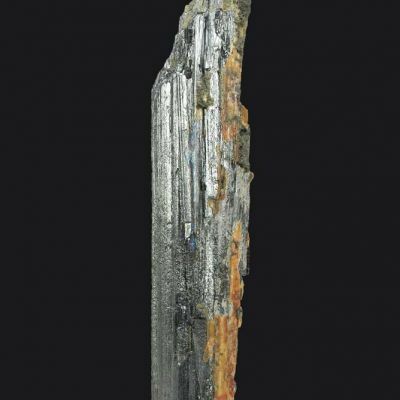 Ex John Ydren Collection.